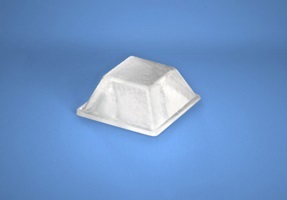 Protective Bumpers BS-03 White 12.7mm x 5.8mm 200/sheet 5000/box - Micro Parts &amp; Supplies, Inc. Description Bumper specialties self-adhesive bumpers can be applied to any object that needs protection or stabilization. Not only will they hold products in place, but they will also prevent surface scratching, reduce vibration, and dampen noise when opening or closing objects. These benefits will preserve and extend the life of a product.